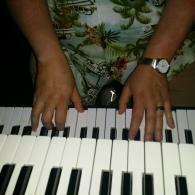 At A Unique Entertainment, we take pride in offering a variety of musical acts. From singles to big bands, we cater to an assortment of events and celebrations on a local, regional, and international scale. Our musicians aim to please and to entertain, so let them put on a show for you and your guests! So inquire today about having live music at your next event! Book Your Band or Vocalist Today! Want your guests to be transported back in time to the good ol' days? 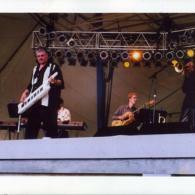 When you hire one of our oldies bands, you and your guests will relive the golden days at your next event. Our musicians are professional and are passionate about their music. 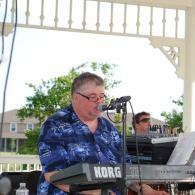 So call today to inquire about having one of our oldies bands at your next event! Enjoy the energy and vibe of the rhythm and blues at your next event with our list of bands and vocalists! 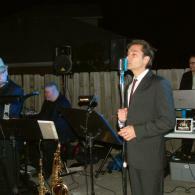 You and your guests will love the soulful lyrics and memorable beats. Jazz up your next event or special occasion by having one of our jazz musicians perform! Our performers are professionals and passionate about the soulful music they make. Ready to do the "cha cha" on the dance floor? Let our cast of Latin musicians keep your guests dancing all night long with their Latin music! Yearning for an island breeze to flow through your upcoming party? Our cast of reggae bands will transform your event space into a tropical paradise with their performance. From large weddings to intimate gatherings, our musicians know how to keep the party going all night long!